A modern geometric sterling silver necklace for men comprising of a 'shard' shaped charm personalised with the initials, name or date of your choice. 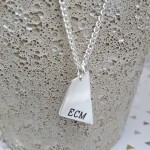 A simple but stunning geometric shard shaped pendant beautifully etched with the name/initials of someone special, a meaningful date or an inspirational word, in a choice of different font styles to suit all personalities. A super modern necklace following the current trend for geometric shapes that is great for everyday wear reminding the wearer of a special person, place or occasion. 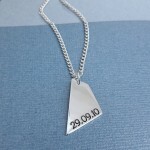 There is also the option to have the back of the pendant etched with initials/ name/date/word as well. 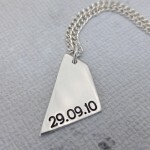 So you could choose a name/initials on the front with the date of a special milestone birthday on the reverse. 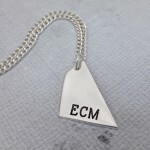 The geometric silver shape is cut from sterling silver sheet with the text beautifully etched deep into the silver. 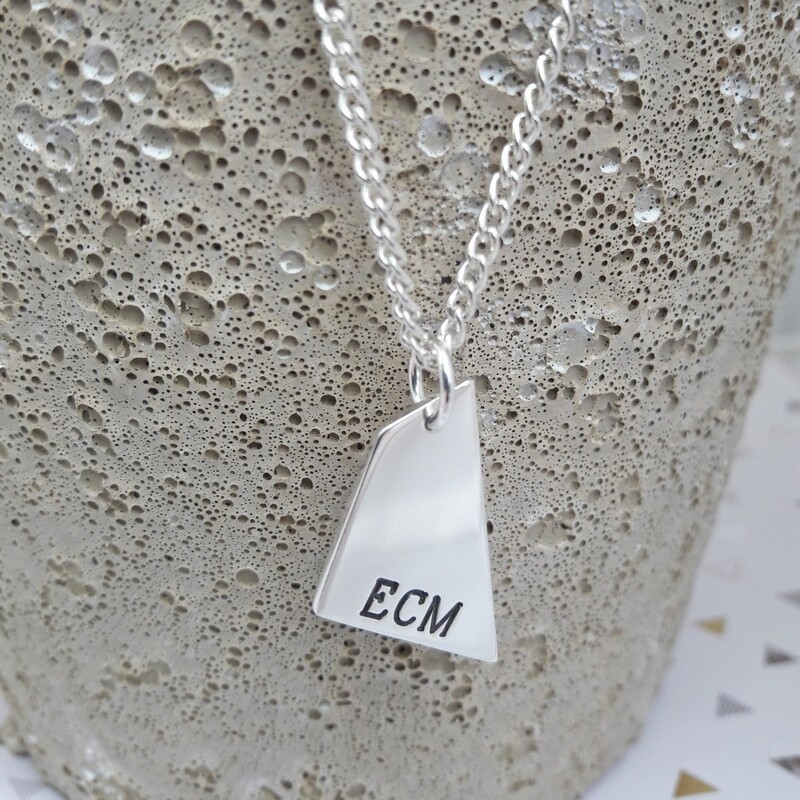 You can have a name, initials, word or date of up to 8 characters on either side of the shard charm and the personalisation will be centered along the bottom edge of the shape. 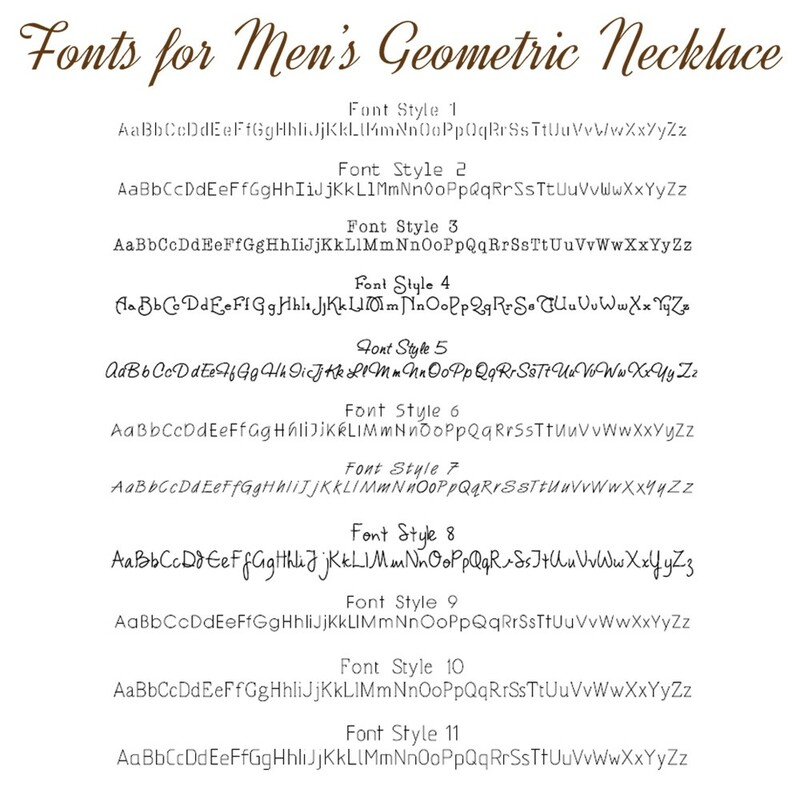 However if there is a different personalistion/format you would like, please contact us as we can be flexible on the layout. 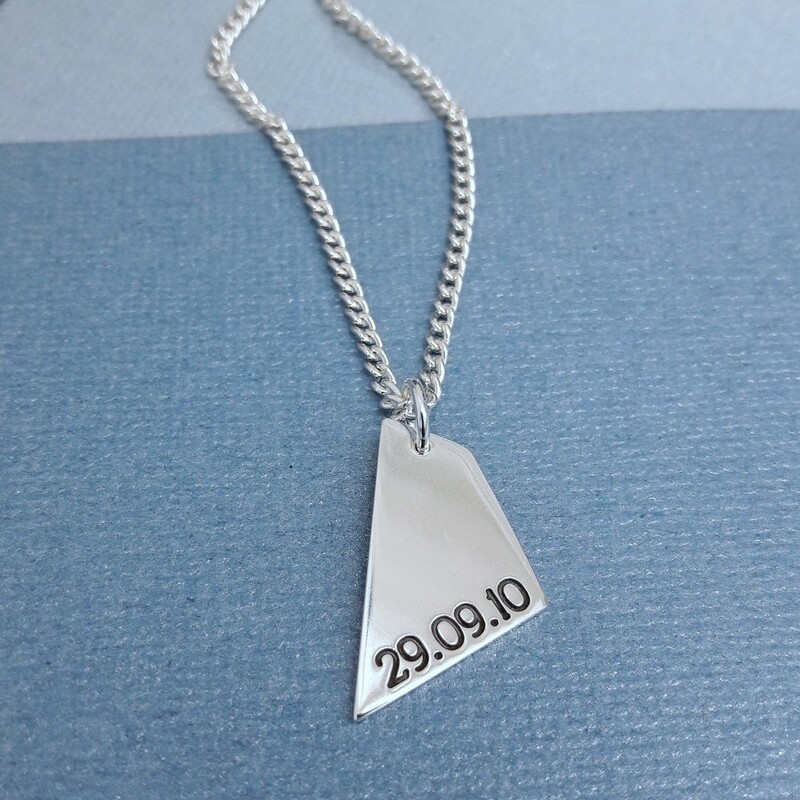 There are also a number of different font styles to choose from and you can also have the personalisation oxidised (blackened) or left a natural silvery/white. 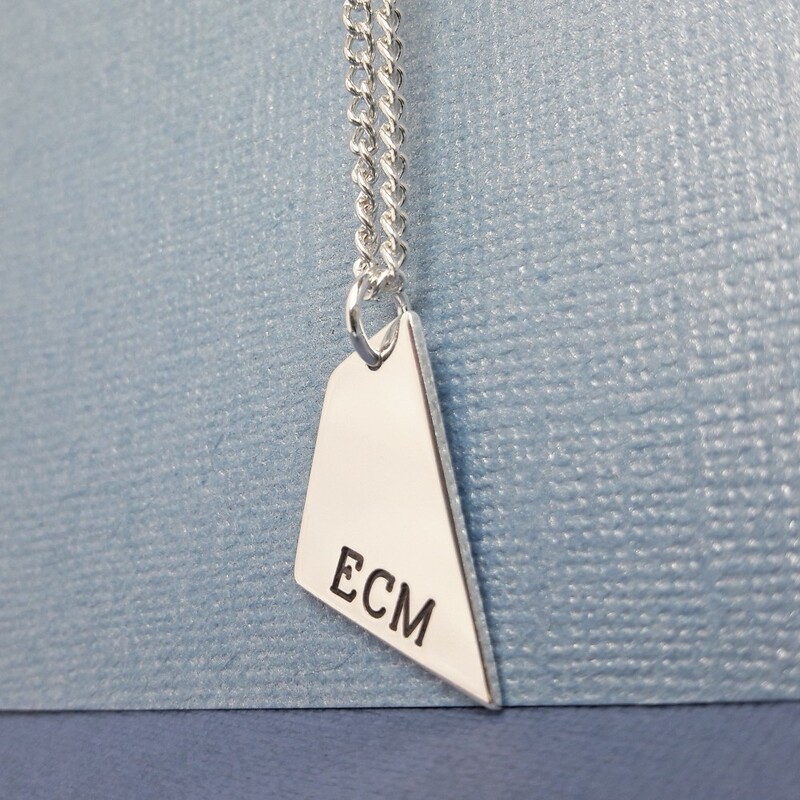 The geometric pendant charm is suspended from a heavy weight sterling silver curb chain which is available in a number of different lengths to suit each individual. 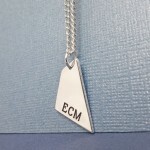 Additional silver shard charms can also be added to the necklace if required to create a cluster of special names or words. 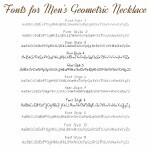 This Men’s Silver Geometric Necklace will be handmade in the UK especially for you and beautifully gift wrapped in tissue paper and presented in an IndiviJewels gift bag. 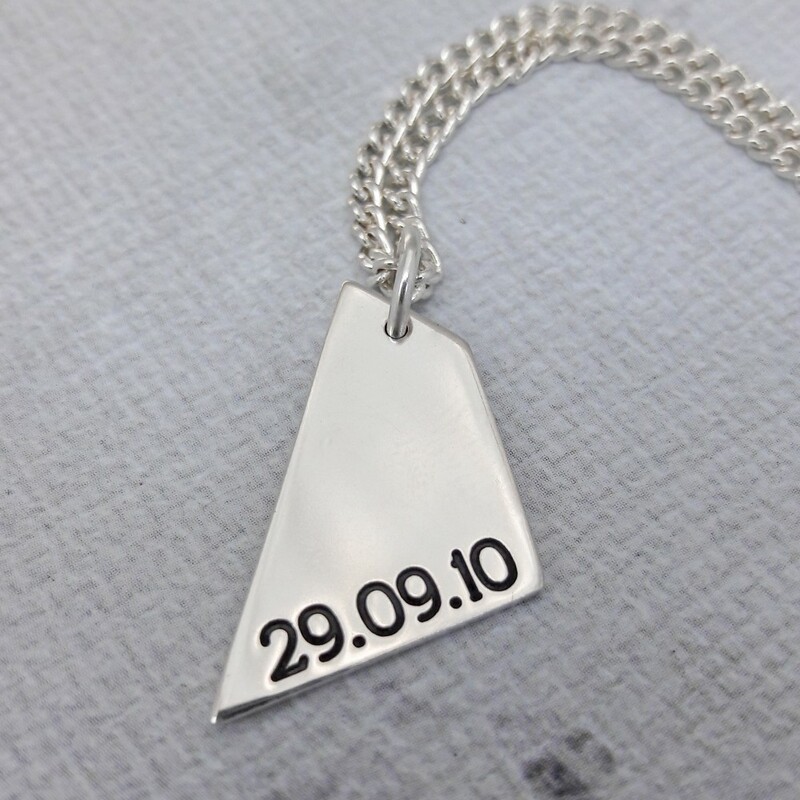 The geometric shard shaped charm measures approximately 1.9cm across and 1.7cm high and is 1.3mm thick.